Who Do You Think You Are? – which celebrities will be in the 2013 UK series? Utilising my search skills to see if i can find the celebrities that will feature in the 2013 BBC UK series of Who Do You Think You Are? 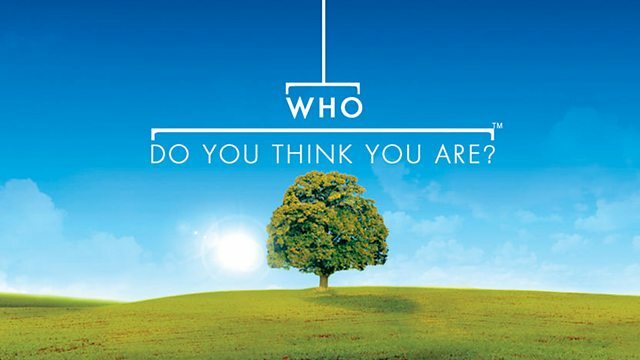 The internet is full of the great news and excitement that the US version of Who Do You Think You Are? has been picked up again by network TLC. This has got me wondering who will be featuring in the forthcoming 2013 series of the UK edition of Who Do You Think You Are?, so I thought that I would employ my research skills to see if I could find out (naturally, I checked Twitter for those on-set spoiler tweets). One helpful follower pointed out a possible ancestral trait (his ears) that might originate from the African plains! Prediction: The Lineker ancestors will turn out to have invented the potato, which they originally used to kick around, as they didn’t realise it could be eaten. A number of reports back in April suggested that Nigel Havers was filming his episode in Colchester, Essex. Hollywood A-lister, Minnie Driver, turned heads at Stockton Library when filming her episode back in February this year. The article quotes her as researching her father’s family. Have you spotted any more hints of who’s starring? Who would you like to see go under the WDYTYA spotlight? The BBC and Who Do You Think You Are? Magazine are yet to announce the official line-up of celebrities, and the date of broadcast. In the meantime, while we wait for the new series, turn your speakers on, press play on the video below and close your eyes…. and imagine your very own episode..
David Cameron is descended from King William IV and he is the grandson of a Baronet why don’t you feature the Prime Minister ? The British people go ga-ga over the Royal Family and this could prove a very popular show.